We have something very exciting to tell you. We mean, seriously, very, very, VERY exciting. 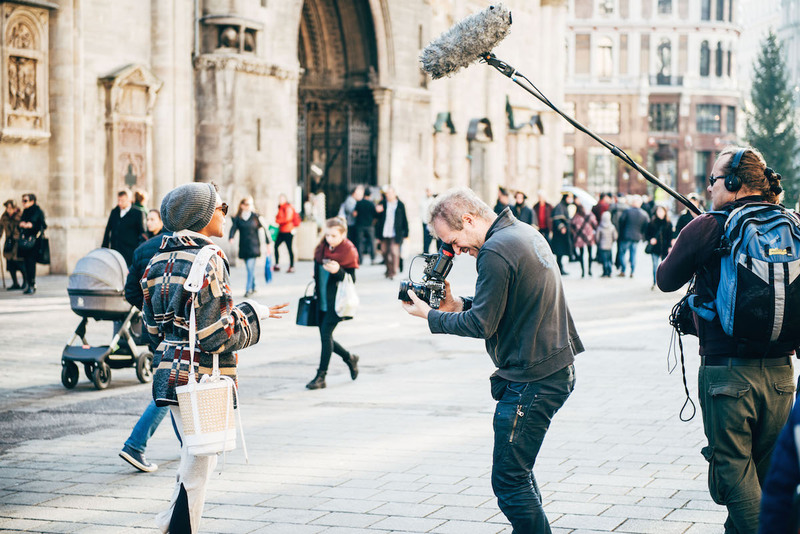 A couple of weeks ago, we have been asked to be part of a video of the Vienna Tourist Board. So, on that Monday, a few weeks ago, we joined a group of amazing filmmakers. 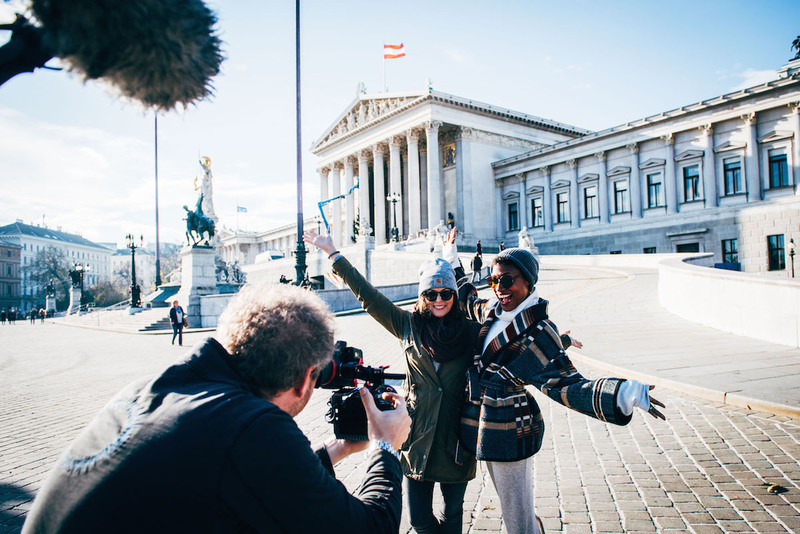 And here it is: our video with the best tips for traveling to Vienna on a budget. Tunnel Vienna is a very popular hangout among students. We used to come here a lot when we were still at university. The prices are reasonable and the breakfast is very tasty. Getting around Vienna on local transport is very easy. 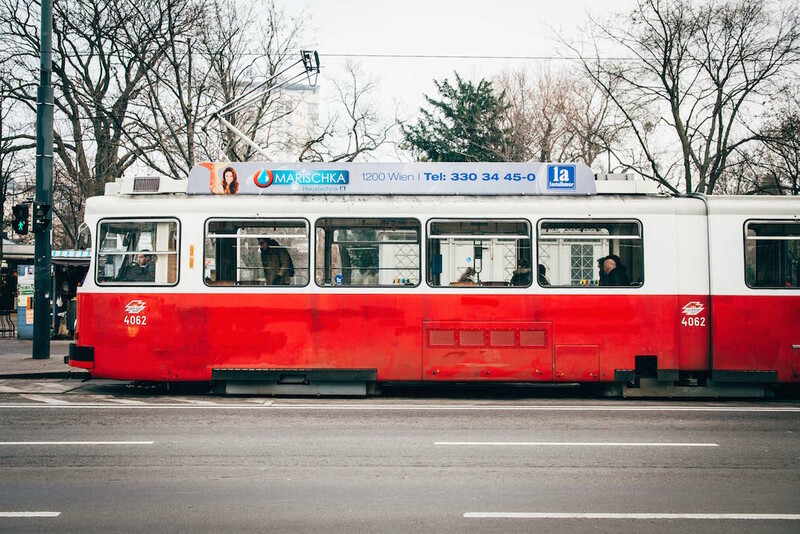 You can use all busses, trams and trains within the city by purchasing one ticket. We recommend you to buy a 24, 48 or 72hr-ticket. Use the trams no. 1 and 2 for a complete ride around the magnificent ring boulevard. Did you know that the Museum of Applied Arts (MAK) offers free entrance on every Tuesday from 6 to 10pm? 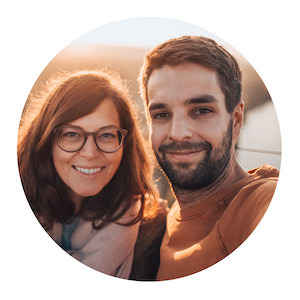 Don’t’ miss that chance! 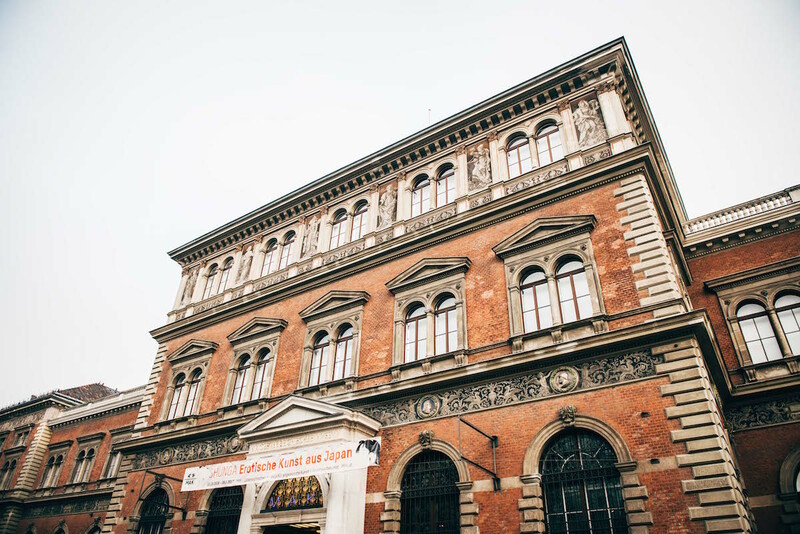 Moreover, many other museums in Vienna offer reduced admission for families. Our favorite vintage store in Vienna is located at Burggasse 24. The store is charming, bright and just as stylish as the fashion sold there. Burggasse 24 is a concept store with a lovely coffee shop attached. Eating as much as you want and paying as much as you wish? “Der Wiener Deewan” is a Pakistani restaurant with a unique concept. The restaurant is very popular among students. The prices for the drinks are fixed (but still reasonable). 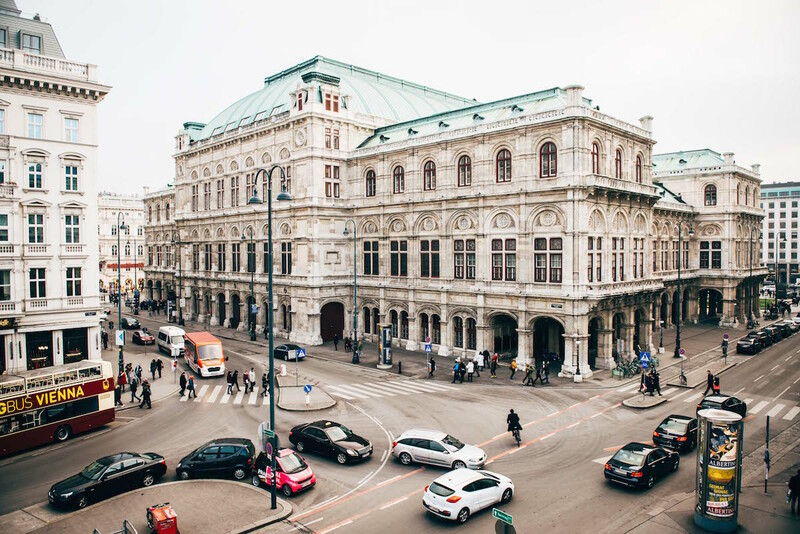 Usually, tickets for the Vienna State Opera will cost you an enormous amount of money. However, you can also get very cheap tickets: Tickets for the standing room are sold on the day of the performance (80 minutes before the performance). The prices are between 2 and 4 Euros (depending on the section you choose). No trip to Vienna is complete without a visit of one of the famous sausage stands. Bitzinger, situated right behind the State Opera, has cult status. They probably serve the best “Käsekrainer” in town. 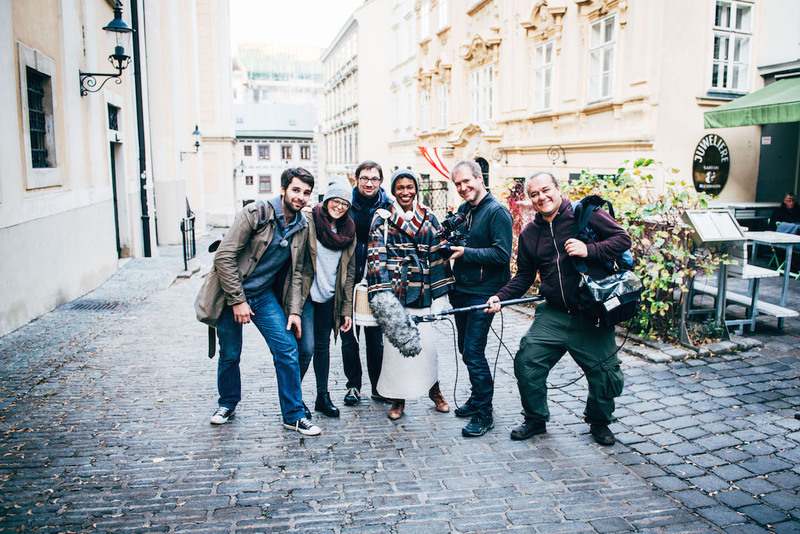 Many thanks to Vienna Tourism Board for beeing part of your video!